Thing Thing joins a group of talented independent designers to show with Form and Seek in Tactile Matter for Milan Design Week 2019. Show runs April 9-14. WORKS IN PROGRESS is an exhibition of objects, prototypes, custom jigs and tools, and drawings by local artists and designers - celebrating the process of bringing functional works to life. The resulting works offer a window into the beauty and chaos of the process – happy accidents, curiosity and calculated execution. The exhibition's first installment of WORKS IN PROGRESS will kick off the new year at the Ann Arbor Art Center from Jan 9 - Feb 9, 2019. 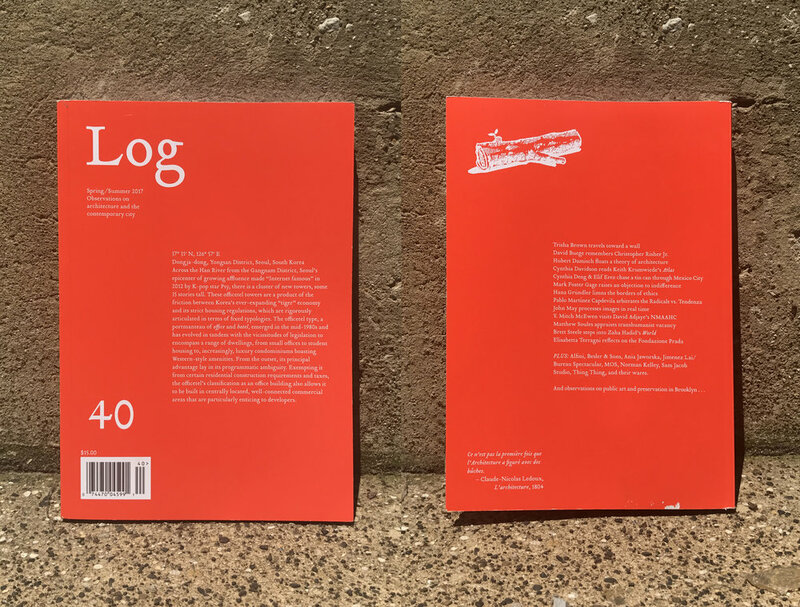 This first show will be curated by the organizers Chris Czub, Matt Rosner, and Sophie Yan, contributing new voices to a growing design community in Ann Arbor. Detroit-based Thing Thing Studios sees recycled plastic as a beautiful material. PlasticScene is an exhibition of new design made from waste plastic. The show gathers together, for the first time, the exciting and accomplished work by a new generation of designers working with this important material. 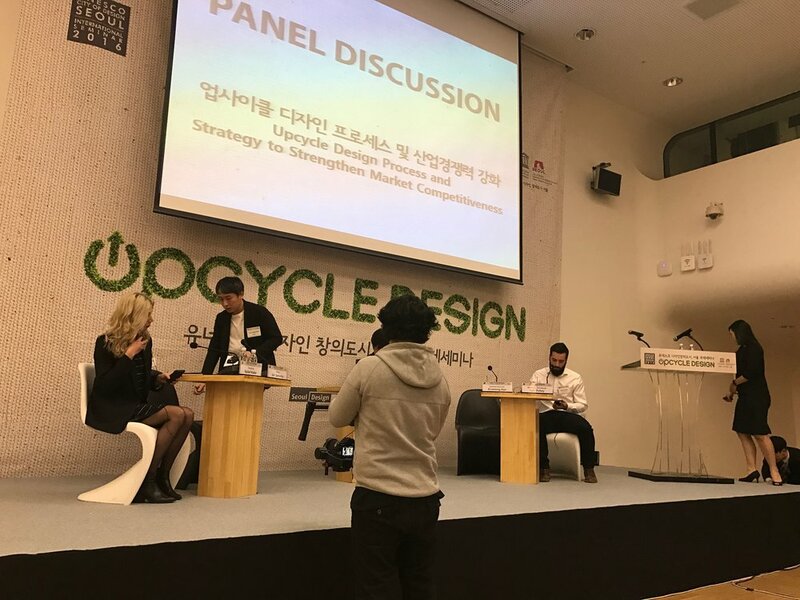 PlasticScene will offer the visitor an insight into how creative designers are approaching waste plastic; not with a sense of obligation but with excitement and possibility. The exhibition will reveal a particular attitude that is about exploring and enjoying the inherent qualities of plastic to create bold, exciting, desirable furniture and objects. By demonstrating how waste plastic can be used inventively and with expression, producing items that are desirable and at the pinnacle of product design, these designers and their work can help further inspire the necessary reuse of plastic waste. 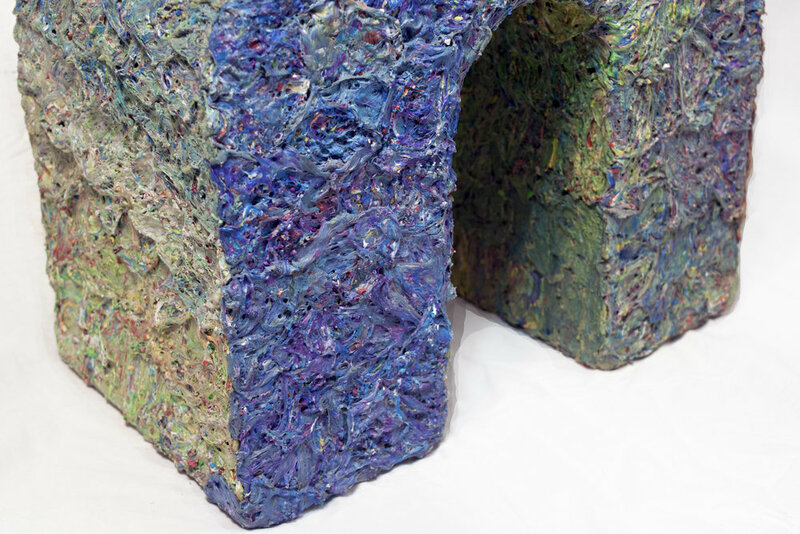 In its second edition, IN GOOD COMPANY:Material Culture is curated by Fernando Mastrangelo and Hannah Martin, senior design writer for Architectural Digest, and brings together a group of young artists and designers whose work represents a post-industrial shift in thinking about materials and processes. Spanning textiles, furniture, lighting, and sculpture, these works radically recontextualize industrial materials typically associated with mass-production, and through experimentation with form and process, ask how functional objects can convey human experience. 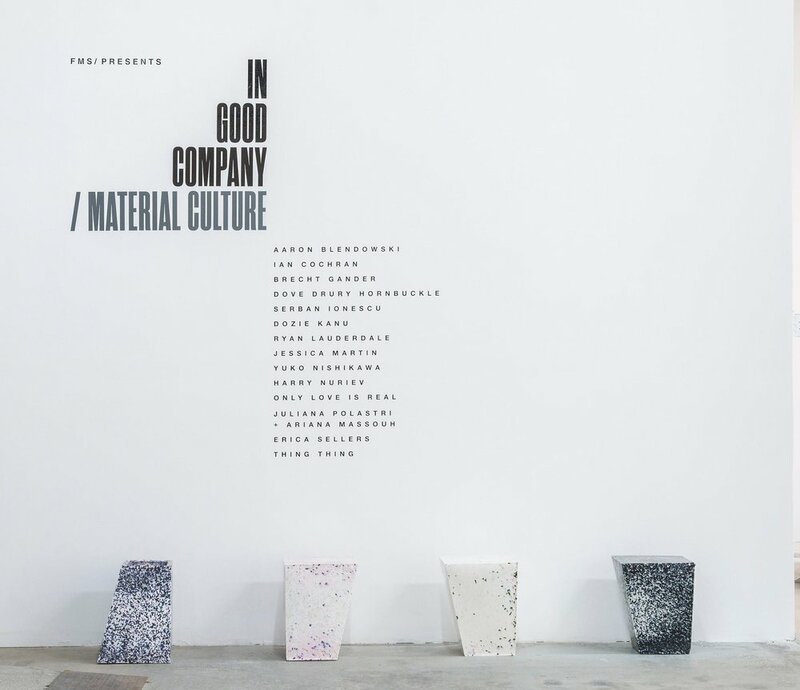 Established as a Non-Profit Organization, IN GOOD COMPANY was formed by Mastrangelo in 2017 to honor creativity and the spirit of the avant-garde, by providing a platform for emerging artists and designers to exhibit work without commercial or creative constraints. Detroit based design studio Thing Thing has traveled to Scotland to take part in the Dundee Design Festival. Represented by Simon Anton and Rachel Mulder, Thing Thing is exhibiting in the UK for the first time. Detroit was the first American city to be named a UNESCO City of Design in 2015 in recognition of the city’s design legacy. Dundee, like Detroit, is working with the designation to help promote cultural and creative industries. Situated on the East Coast of Scotland, Dundee is the UK’s only UNESCO City of Design. The second Dundee Design Festival is situated in an empty factory in the city’s former mill district for a five-day programme of design-themed workshops, talks, film screenings and performances. Inspired by Dundee’s industrial heritage and the venue’s history as a jute mill and print works, the festival theme is ‘Factory Floor’ celebrating makers and their machines and the future of manufacturing. For their project Here, There and Everywhere, Thing Thing has made a series of lamps by turning folded and inflated aluminium ‘pillows’ filled with shredded waste plastic over an open fire. The plastic is slowly melted then cooled before the foil mould is peeled off to reveal the hardened shape inside. The result is a colorfully marbled plastic objects made by hand. “Dundee is a great city, we love it. Like Detroit, it is a post industrial city dealing with a change in economies. The issues our cities face are very similar." “Sometimes the world of culture and design can seem far away from these issues but in actual fact art, culture and design is for everybody and everyone should have the opportunity to enjoy beautiful things. Simon added: “We would love to come back to Dundee and spend more time here. It would be great to get the opportunity to host designers from Dundee in Detroit too. Thing Thing’s exhibition is part of the Festival’s showcase of exciting design innovations in ceramics, furniture, interiors, textiles, jewellery, and healthcare design. Pecha Kucha Night Dundee Vol 18 happened at West Ward Works on Thursday 25 May 2017 during Dundee Design Festival, running 25 – 29 May 2017. Here are your highlights from the evening! 10th Biennale Internationale Design Saint-Étienne 2017. Public Design Trust will highlight Detroit’s innovators and existing network-based working models, and also instigate and catalyze new cross-genre, cross-generational collaborations. Thing Thing partners with Lear Corporation to apply their unique fabrication process that reimagines uses for current material waste streams and underutilization resulting from Lear Corporation’s seat-making operations. Thing Thing invited to show new work at the upcoming 2017 The Saint-Etienne International Design Biennial. Recently exhibited new work, "Pet Lamp" and "Family Bench" at 1.5 Rooms in New York. Come see us this weekend at the International Home and Housewares show in Chicago. Thing Thing will be exhibiting in the MAKER MAKER exhibit at the Hong Kong Shenzhen Bi-City Biennale of Architecture and Urbanism in Shenzhen, China. Come see work by Thing Thing, Christopher Schanck, Jack Craig, Mark Dineen, and Taryn Cassella. It's official! Come to our Pop-up Shop Shop Celebration at MOCAD this Thursday July 16 2015 6-9 pm!! Refreshments and good vibes for all! Special thanks to Ellen Rutt for the poster and Ardalan Sedghi for photos!